On December 28th 2016 our group split to keep an eye on two different hunts, the Ledbury and the North Cotswold. Both groups, along with Bristol Hunt Saboteurs, were subject to violence and intimidation. Both hunts were still disrupted while attempting to kill wildlife. 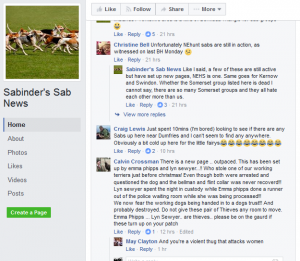 Not long ago we wrote this update about the Ledbury terrierman involved in the assault on sabs – Terrierman charged with affray – and now we bring an update on the North Cotswold case too. 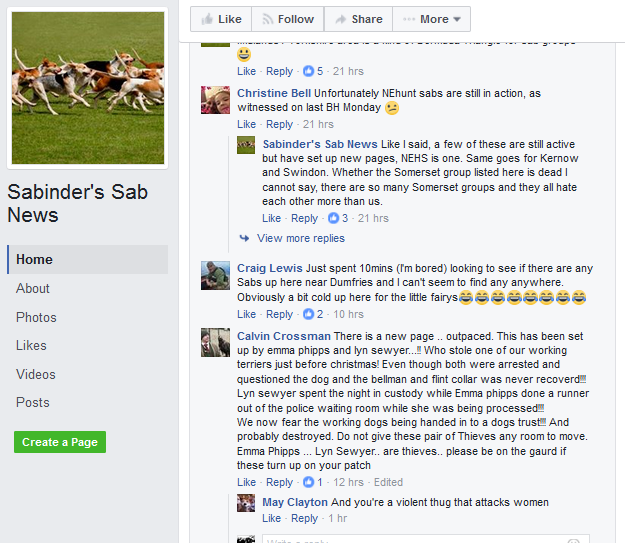 The video below shows some of the footage from the day, including falconer Calvin Crossman’s behaviour towards sabs in a field and terrierman Will Haines riding his quadbike into a sab. Following the discovery of the artificial earths the hunt packed up and the sab attended Gloucester hospital with suspected concussion and a swollen jaw. Statements were made to the police soon after. West Mercia Police have dropped the case against Crossman as they say it is unclear how he and the sab ended up on the floor, whether he intended to hit her in the face and whether he did actually knee her in the groin. Regardless of this, we believe that his behaviour in the run-up to the fall still constitutes an assault (assault does not require physical contact) and is still unacceptable, especially the fact that he puts his eagle in danger. Haines admitted that he had ridden into the same sab on purpose and was given a caution due to previously having a clean record. 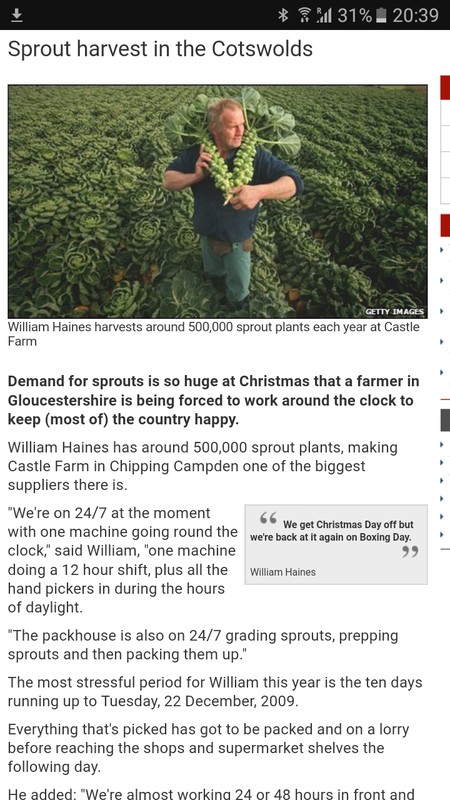 If you think the name is familiar you may well be thinking of Will Haines senior, a farmer from Castle Farm in Chipping Campden (supplier to M&S, Whole Foods and others). Will Haines junior was identified by the North Cotswold’s huntsman, Nigel Peel, and confirmed as being employed by him as terrierman and is also known to be involved in helping to organise the hunt ball, so the hunt can’t easily pretend that he has nothing to do with them. The violence is believed to have been sparked by a previous incident in October 2016 when terriermen were caught attempting to dig out an active badger sett in order to get to the hunted fox who had sought shelter within the sett (see video below) and who then thought it acceptable to abandon their terrier (a “much-loved family pet”) in the sett with the frightened fox and numerous badgers… Gloucestershire Constabulary looked into an allegation that sabs had stolen the terrier and found no evidence to suggest this; the investigation was dropped earlier this year. 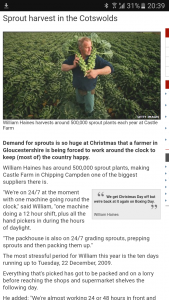 Unfortunately, despite evidence supplied, we believe they have also dropped the investigation into the illegal dig-out. The hunt continue to intend to hunt illegally, the blocking of badger setts prior to hunt meets being one giveaway of this and we intend to keep a closer eye on them in the coming seasons.